I would like to continue on with my family, the same traditions I had with my parents. If I got to choose my own tradition I would like to start, it would be like a family night type of thing. 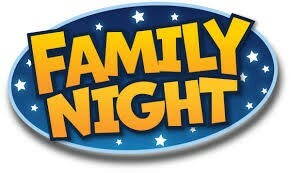 I would like that because I feel now that my parents and I aren't as close because I'm always busy, so I feel a family night would help solve that. We would play games, eat a lot, and maybe all of us watch a movie together. If we decided to go out, we could all go to a movie or go golfing. I think that would be fun and that it is a very good idea.